Part one of this article looked at a video featuring a golfing long-drive champion, Jason Zuback and the attempt to usurp Jai-Alai as the fastest ball sport in the world. Despite the less than scientific methods, Zuback managed to generate a golf ball velocity in excess of 200 mph, smashing two panes of tempered glass in the process. Thanks to the help of long-drive professional and Sports Scientist, Paul Glazier, I have learnt that such velocities are pretty routine in long-drive golf, suggesting that Jai-Alai may have been dethroned for some time. However, I’d like to suggest a more reasonable method to compare ball velocities and see how golf really stacks up. Despite my earlier derision of using smashed glass as a method of measuring velocity, it’s a nice example of a more objective measure of performance than a radar-gun. A radar gun simply measures an object’s speed, it does not measure the mass of the object and therefore its energy. The glass on the other hand doesn’t care how fast an object is travelling, it will only smash if enough energy is transferred into it to cause catastrophic fracture. A more massive object travelling slowly will smash the glass just as readily as a smaller object travelling at a much higher speed. 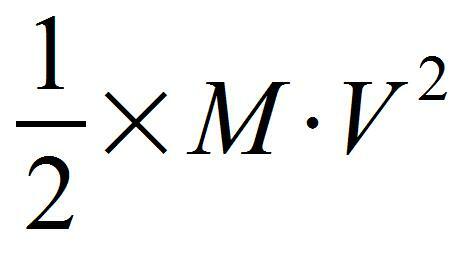 In other words, half of the Mass multiplied by the square of its velocity. Hmmm, so if we look at the above statement with regards to energy, a golf ball travelling at twice the speed, has four times as much energy. In reducing the speed by 50% the first pane of glass has reduced the golf ball’s energy by three-quarters. This suggests that the second pane of glass only required a third of the energy of the first in order to break. This is without accounting for the differing fracture energies that may be required depending on where the glass was hit in the first place. Lets disregard this for the sake of brevity, and focus on the first part of the above statement, how much kinetic energy is present in a golf ball travelling at 100 mph? A quick internet search shows that a typical golf ball has a mass of 45 g, which gives an energy of 44.4 Joules (J), the equivalent of burning about 1 milligram of crude oil. A more useful comparison would be to calculate how quickly a Jai-Alai ball (pelota) would have to be travelling in order to contain 44.4 J of energy. A slightly more in-depth internet search reveals that a hand-made pelota must conform to a regulation mass of around 105 g, the higher value immediately tells us less velocity is required and a quick calculation shows that a Jai Alai player would only have to project the ball at 65.5 mph in order to smash the pane of glass. Disclaimer: These energy values are used as guidelines to illustrate a point, the energy required to smash a pane of tempered glass may be much higher and is much more likely to be related to peak force as a result of the conditions of impact and surface interaction. What about the top end of each sport? Anecdotally, Jai-Alai achieves velocities of 188 mph. Paul Glazier, the professional long driver has a career high of 205 mph as measured by a vector launch monitor. Jai Alai appears to come out on top with close to twice the amount of energy, however, there is something else to consider when directly comparing energy values. 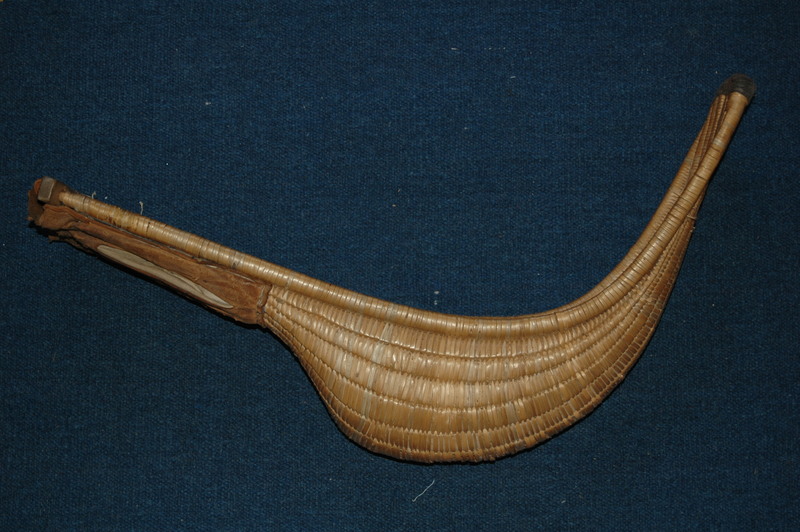 A jai-Alai player uses a large curved basket to launch a pelota at high speed; they continuously transfer and increase energy output by moving their body segments through what is referred to as a kinetic chain. In doing so energy produced by muscles in their legs, core, arm and wrist is transferred to the ball to give it such a high launch velocity. A similar process is executed by a golfer in that they transfer their energy to the head of a golf club. Rather than seamlessly being launched, a golf ball is accelerated incredibly quickly through an impact with the club head. This impact is inherently inefficient, due to the laws of physics and the laws of golf, which limit the amount of energy transfer into the ball. How much energy is lost? Thankfully, the vector launch monitor also gives us the velocity of the club-head, Glazier’s highest ever clubhead velocity is 145 mph, and a long driver’s clubhead has a mass of about 200 g.
Once again Golf seems to come out on top but not by such a large margin; a long driver is physically honed to generate large amounts of power. If Jai Alai had an equivalent profile and focused purely on speed then its not infeasible that similar ball energies might be achieved over time. There are other sports where players attempt to gain the upper hand by generating huge ball speeds. Fast bowlers in Cricket try to beat the batsmen through the sheer speed of their delivery, how does a fast cricket ball compare with regards to energy? A cricket ball comes in at around 158 g and can be delivered at speeds up to 100 mph. It’s not bad, but it falls a little way short, why might this be? There isn’t an impact which occurs during the bowl, cricket is a massive sport with sophisticated training techniques and a cricket bowler even gets a run up to add that little bit of extra energy, something not possible in the golf swing (or is it?). I have a couple of thoughts – for a start there are no tools involved in bowling; golfers and Jai Alai players both have large pieces of equipment which increase the leverage of the arm. However, by putting a mass at a distance from the body you are increasing the load it imposes on the muscles and joints, as such it may take longer for a person to complete a swing. If you think of a golfer swinging a garden cane instead of a club you can imagine that the lack of resistance might allow them to complete the action in much less time. However, not only are muscles more powerful when moving slowly, but if they are applying a force over a longer time, they are effectively expending more energy. There is more time to complete the action and more time to transfer this energy into the clubhead or ball. This argument would suggest something very counter intuitive, that if a cricket ball was made much heavier, the bowler would have a slower action and as a result, a more powerful one. One must remember that this is in terms of energy and I’m not suggesting that a 3 kilo cricket ball barrelling down the crease at 40 mph is of any use other than to intimidate the batsmen. There is a case where this logic can be tested, a shot-putter has to project a huge 16 lb (7.3 kg) metal ball as far a possible. They have a very prolonged kinetic chain in which they fully rotate and expand upwards to release the ball. The world record is around 23 m. Doing a few back-of-the-envelope calculations (assuming ball released from 2 m above ground and that no air resistance applied) you can work out that the shot must have been released at around 32.4 mph (or 14.4 m/s). How does the energy compare with the long-driving elite? Randy Barnes, take your place at the throne. I didn’t look in to Lacrosse I have to admit, do you know whether that refers to the speed of play, the speed of movement or the speed of the ball? From the research I did in to Jai Alai, it appears that the ‘fastest ball’ tag came from an effort at promoting the sport rather than a verified test. Apologies for the lateness of this reply, I’ve been extremely busy. I believe it refers to the speed of the ball but cannot be certain. As I said in my original post it is only referred to as “the fastest sport on two feet” which by no means makes it fact. I could imagine that, as you said about Jai Alai, this is a very exciting claim to make and would be a good marketing strategy to promote the sport. My problem with the episode was that they made zero similar attempt to maximize the speed of a Jai Alai ball. They got the absolute strongest guy they possible could in order to get that top speed. The speed record for Jai Alai was attained a long time ago. Who says that similarly beefed up guy with a single focus on speed wouldn’t be able to push the record past 200 mph? That being said I see almost no reason why it should be faster then golf. The golf ball is much smaller and the club is much longer then the basket they use in Jai Alai. I’m amazed Jai Alai can even get close to those speeds. I’m also curious about the actual physics of Jai Alai. That’s a very good point and something I tried to allude to in the article. The Jai Alai ball is much more massive and requires a larger energy input to attain the same speeds. However, no sudden impact occurs in Jai Alai as it does in Golf, an impact cause a lot of energy loss (which is something actually engineered into the game by the governing bodies). What would be really interesting to see is a modern, smooth carbon fibre Jai Alai blade being used to fire a golf ball. It’s lower mass would an large corresponding increase in velocity.